Sebastopol, California, June 5, 2017 – Emeritus Vineyards is proud to announce the appointment of David Lattin to winemaker. Lattin joins a 20+ year strong team at Emeritus, which includes vineyard manager, Kirk Lokka, and proprietor, Brice Jones. 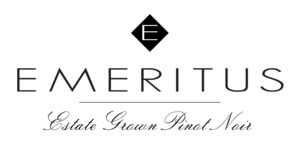 Lattin brings 32 vintages of winemaking experience to his role at Emeritus, which includes a 15-year tenure as winemaker for Kuleto Estate where he oversaw the winery’s transition from a small, family-owned business to a relevant brand, while also leading the winemaking program for Merus Wines since 2013. Lattin resides in St. Helena with his wife and children. When not producing world-class wines, Lattin enjoys cooking (which he believes makes him a better winemaker), traveling, and cycling. Located in Sebastopol in the heart of Sonoma County’s Russian River Valley, Emeritus Vineyards is home to Hallberg Ranch, one of California’s most distinguished dry-farmed vineyards, and the site from which the winery crafts the second most requested Pinot Noir in America’s Zagat rated restaurants1. ¹ According to the 2015 Wine & Spirits Magazine restaurant poll.